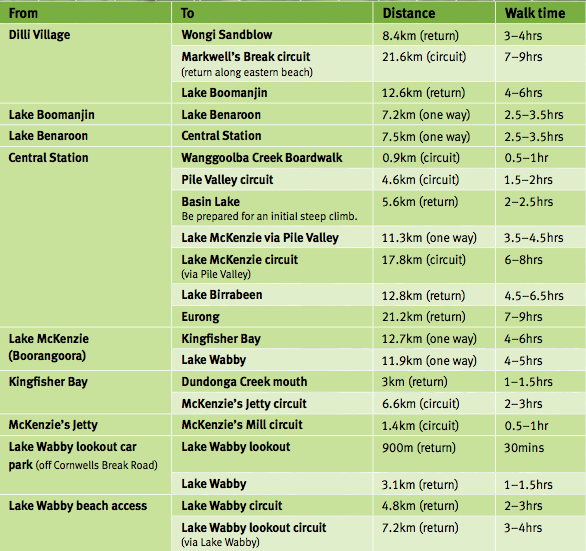 Apart from The Great Walk there are plenty of other walking tracks on Fraser Island. What a great way to explore the island’s tranquil beauty whether it is for a day walk or to get from one destination to another. Most of the walking tracks on the island are mostly well-defined tracks with a firm and stable sandy surface with some soft sand sections which might make walking a little slower but you don’t have to be an experienced hiker to enjoy just a day walk and enjoy the solitude and the nature experience of the island. See all “the little things” people in cars will never see. Don’t forget to carry plenty of drinking water, also bring suncreen, insect repellent and a hat. Please read ‘Staying Safe’ section in the Fraser Island Visitors Guide Brochure provided by Dept of NPRSR. 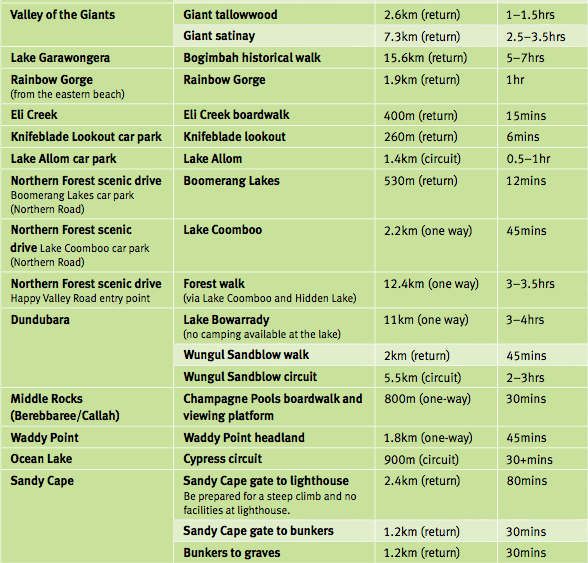 Distances and times provided in the table below are taken from the Visitors Guide and are estimates only. Allow extra time for rest stops and meal breaks.